Following up on the previous general article about the upcoming International Yoga Day, I’d like to shed a bit more light on a special feature we are adding to the schedule this year: Kids Yoga & Children’s Activities! In the early part of the afternoon (13:00-15:00), Valeriia will be facilitating and guiding children through some fun creative activities in which they will make some art together and other handcrafts. Valeriia Andreeva is a freelancer teacher providing modern education to kids in age between 5 and 10 years. She uses tools to motivate students use their both hands and both sides of the brain to solve interesting tasks. 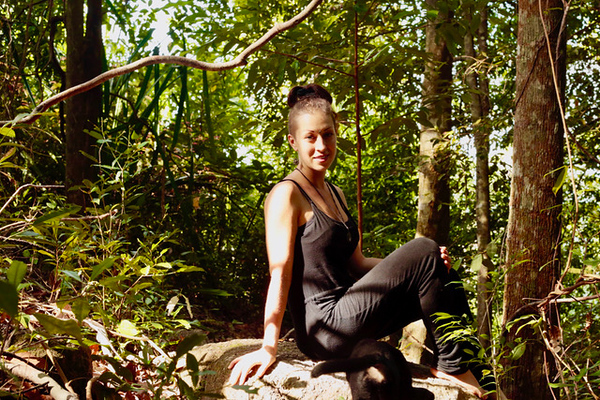 Valeriia has been teaching in Thai school in Bangkok and international kindergarten here on Koh Phangan. She teaches kids in two languages - russian and english. Before she was an active member of Trash Hero organisation in Indonesia organizing beach cleanups with big groups of volunteers. Her passion for recycling and sustainable living on island brings many fascinating ideas into the classroom, where she teaches kids how to make useful things out of plastic waste. This time Valeriia will be giving free workshop to kids at the International Yoga Day festival,, where she will introduce different techniques of painting. Again this will not be traditional approach working with colours. This workshop can be exciting for kids in any age. In the later part of the afternoon (15:30-17:30), I will be leading a Kids Yoga class, in which I will be incorporating many games. 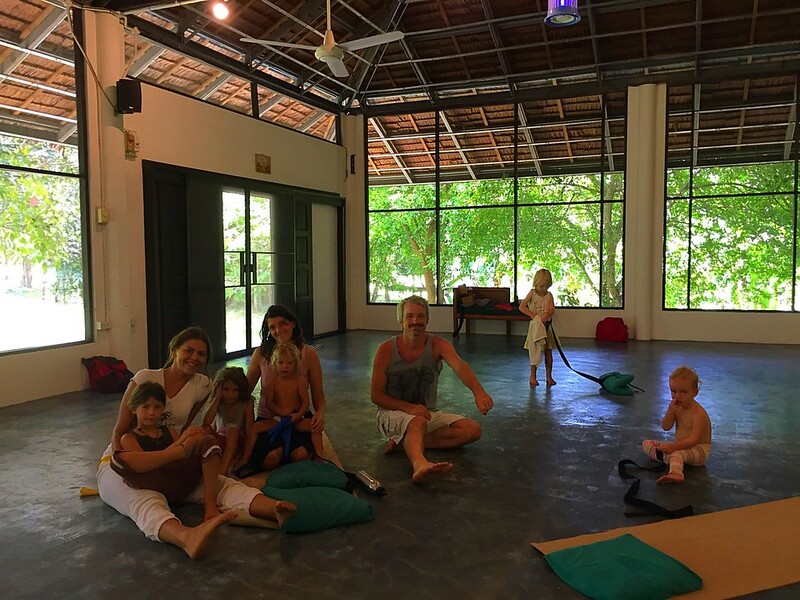 This is awesome for parents on the island with children, as they can drop off their children at the hall for the entire afternoon, knowing they are in safe hands, learning something new, and most of all having fun while connecting with other children and their inner Self. It’s also awesome for the children to explore new games and enjoy the opportunity to learn to practice Yoga in game-form. There is something so magical about working with children. Their pure, spontaneous, and inquisitive nature never fails to inspire me. I also feel working with children is great for peeling through some layers of the ego, for example through the way in which they are not so often concerned with societal conditioning, and will just communicate things bluntly and upfront. I also feel that teaching Kids Yoga brings me straight into the heart, and connects me to that vibrant playful soul that lives in my eternal inner child. When working with children, it’s important to stay open to spontaneity, allowing them to creatively come up with components of the stories and games brought to class, rather than strictly sticking to the initial plan. I’ve wanted to become a Kids Yoga teacher for a really long time! I remember telling my best friend that’s what I wanted to do when I first started Yoga back in 2017, and 11 years later I am so happy to have gotten into that and reaffirming this to be part of my dharma. Getting kids to become interested in Yoga is not done by telling them to. It’s about being the example, embodying a living example of what it’s like to be a yogi, and to ignite and awaken their interest and curiosity in that way. I like to communicate with them openly, without a personal agenda. Co-creating the classes with them encourages their creative thinking, and invites their full presence in. When teaching Kids Yoga, I usually try to address the the practice holistically by integrating games, telling stories, Yoga philosophy for daily life, language, music, colors, and more. Yoga has a way of uniting and harmonizing all aspects of our being - mind, body & soul. The benefits of Yoga for children are manyfold. Children need it just as much as we do. They can learn things which they can then later practice alone, or with friends and family. By putting the body in a certain position, they build strength, confidence and flexibility. Their minds and breathing are refreshed and calmed by breathing exercises (pranayama), and they learn to breathe better overall. Through the practice of Yoga, they harmonize with the environment, quiet the mind, and learn how to use their energy effectively and take care of themselves. They cultivate inner peace, and positive behavioral inclinations such as cooperation and compassion rather than opposition and competition. Yoga bring children into the present moment. It increases their wellbeing, focus, harmony, peace, serenity, connection (to others and the Self), and self-esteem. It teaches them about integration, meditation, thinking about life questions, and relaxation. Through fun exercises, they gather inspiration from the natural world; for example: assuming the grace of a swan, learning to own their own power through simhasana (the lion pose), embodying the groundedness of a tree and so forth. The list goes on forever! Children furthermore learn about self-acceptance, and about seeing the divine light in themselves and others (namaste). Healthy habits are encouraged, and they gain so many other benefits such as: coordination, balance, self-control, mindfulness, inclusivity, dealing with stress, discipline, responsibility, imagination, focus (and dealing with distractions and over-stimulation of the senses), detachment (from ideas, people, and material things such as for example media and other modern technological devices). Kids love Yoga because they get to learn new things and explore the nature of reality and themselves in a fun, safe, and playful way. There is something about Kids Yoga classes that is generally more relaxed and less disciplinary than school classes. It’s not ever really something they “have” to do. It sparks their creativity. Yoga has many faces! They learn about principles that will help them to live a good, balanced, healthy, and ethical lives, such as truthfulness, gratitude, contentment, non-violence and so forth. My goal is to offer children a meaningful experience of Yoga. To offer them an experience that can inspire them. That they will take it home and want to share it with their friends and family. That they will remember how Yoga can help them, especially when they’re going through a rough time. All in all, I hope to bring the best of Yoga into the daily lives of our children. As a great man once said: If children are our future, we must be their now.